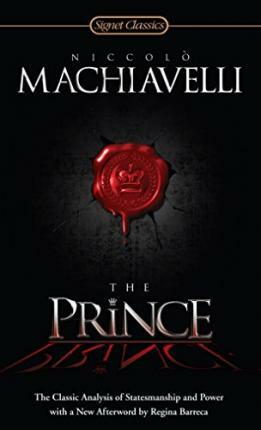 Niccolò Machiavelli (1469-1527) was a Florentine statesman who was later forced out of public life. He then devoted himself to studying and writing political philosophy, history, fiction, and drama. Regina Barecca, Professor of English and Feminist Theory at the University of Connecticut, is the editor of the influ-ential journal LIT: Literature, Interpretation, Theory. Among her many books areThey Used to Call Me Snow White...But I Drifted, a widely acclaimed study of wom-en's humor, andBabes in Boyland, It's Not That I'm Bit-ter..., and Untamed and Unabashed: Essays on Women and Humor in British Literature. She is also the editor of The Penguin Book of Women's Humor.